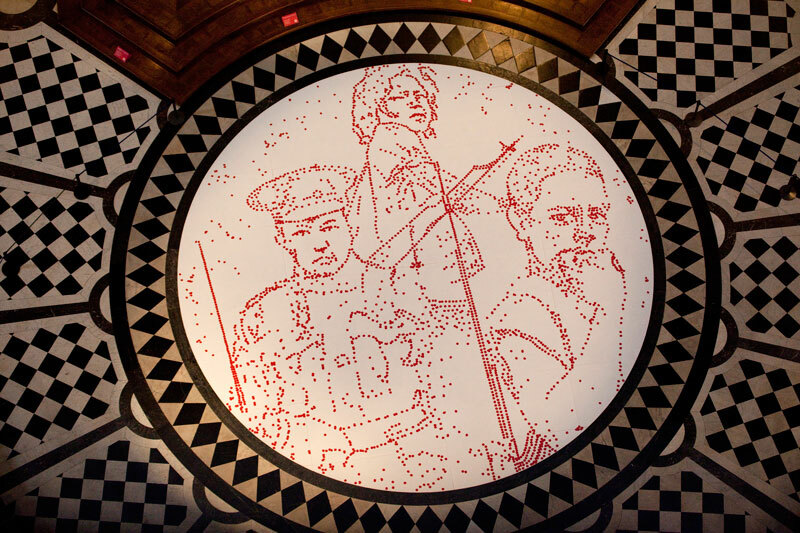 In St Paul's Cathedral below the dome is this art installation created by Ted Harrison to draw attention and remember children who have been conscripted and fought in adult wars. 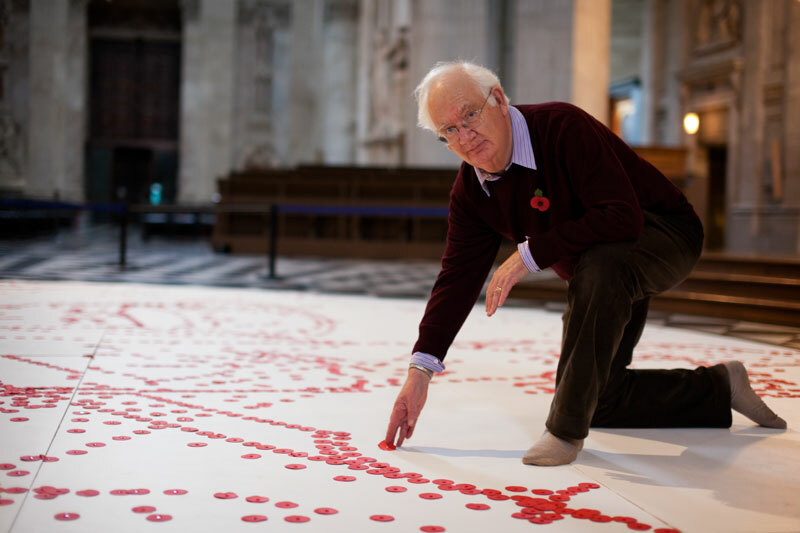 At ground level the work appears as a white disc onto which poppies appear to have been scattered at random. From above the poppies form an image of three armed children. 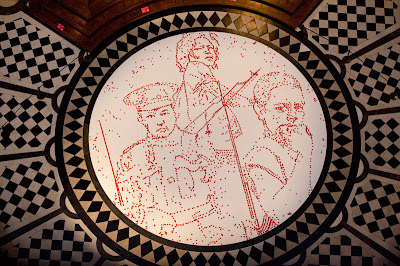 A boy from the first world war, a boy from recent conflicts in Africa and a girl from Asia. Although Britain no longer sends anyone under the age of 18 to war many other countries do. An estimated 250,000 children worldwide are currently under military orders. Some as young as 9 years old. One third are girls. Great art installation. Children are always the main sufferers. It is necessary to inform about that fact. I hope many people will see that installation. So very interesting. I too hope many people will go to see it. It is Africa where many kids are forced into wars, often with horrendous results. Very sad. thanks to Hed Harrisson ,great installation ! This is such an important post. I follow Project AK47 who deal with the reeducation of former child soldiers. What a great installation.